Indigenous Popular Culture is currently one of the fastest-growing fields of contemporary cultural production in the United States and Canada, but also other regions across the globe. Indigenous artists, writers, musicians, filmmakers, and entrepreneurs of all walks of life proliferate increasingly on the contemporary popular cultural landscape in all its various incarnations, from popular fiction to animation to the fashion world. Diverse Indigenous practitioners of the popular throughout the world not only intervene powerfully into the landscape of popular culture and representation—a cultural field which is notorious for its various appropriations and misrepresentations of Indigenous people and cultures—but also draw attention to the pressing social and political challenges which Indigenous communities are facing today. 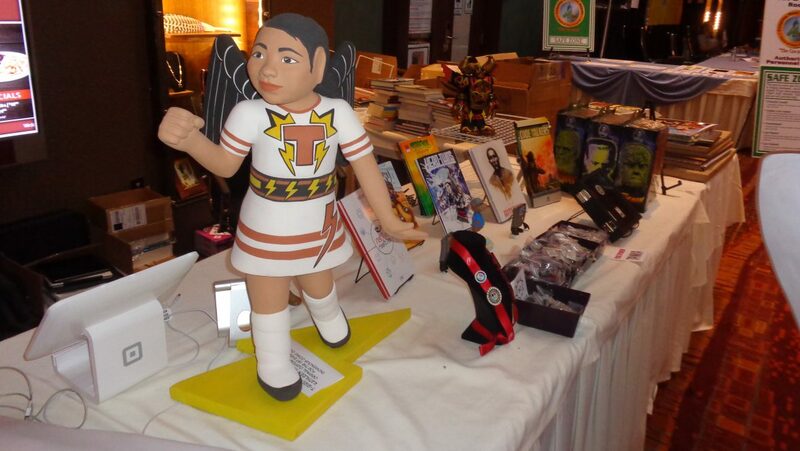 With its ever expanding scope, Indigenous popular culture harnesses the vibrant and mutable energies of popular culture, fan culture, and geek culture in order to not only indigenize the cultural field of the popular, but also to advance Indigenous cultural archives in a multiplicity of forms. Thus, Indigenous popular culture is not only a field of a dynamic creative expression, but often also in one way or another stands in dialogue with contemporary Indigenous activist groups and causes working towards the goal of decolonization and Indigenous resurgence. The proposed volume seeks to bring together researchers and practitioners of Indigenous popular culture in order to illustrate the cultural vibrancy, complexity, and importance of this flourishing field. We therefore invite contributions from academics as well as artists, entrepreneurs, event organizers, cos players etc. Contributions may focus on any aspect of Indigenous popular culture in any of the geographic areas throughout the globe. Academic articles should be 6000-8000 words in length. Contributions by practitioners of Indigenous popular culture can be of artistic/creative/analytical/(self)reflexive nature and allow for wider variation in scope, i.e. could be as short as one page (text, comic strip, image, etc.). Please send an abstract of 300-500 words for an academic article, a short description up to 500 words for other kinds of contribution, plus a short biography to indigenouspopculture@gmail.com by December 31, 2018. The completed first draft of the articles/contributions will be due on March 1, 2019. The academic papers will go through a peer review process, the volume will be published prospectively in 2021 with Wilfrid Laurier University Press. Photos: Indigenous Comic Con 2017, Albuquerque, NM, Isleta Resort and Casino. Used with permission. All rights reserved. Header photo: Native Realities table, Indigenous Comic Con 2017, Albuquerque, NM.